She lived over a century ago, but her name is still muttered in Russia today - mostly by thieves. Sofia Bluvshtein - also known as Sonya the Golden Hand - was probably the most professional, bravest, and longest-functioning of crooks in the country, and her life was dramatic until the very end. Now, in days of online news and live streaming, criminals get media attention very fast. In 19th century Russia, only a very cunning criminal could become famous before getting jailed. Sophia Bluvstein, better known as Sonya the Golden Hand, gained notoriety as the “Queen of Russian Thieves” - because of her jaw dropping looks, cold-blooded professionalism, and great theatrical talent. Every single one of her thefts was a meticulously staged show. Sonya's robbery routine was simple and elegant. She checked into an expensive hotel, dressed in her best garments and behaving like a noble woman minding her business, so nobody dared to ask where she was going while she browsed the hotel, studying its layout. Sonya knew that guests in such an establishment usually spent their nights partying and slept until noon. Early in the morning, Sonya donned soft slippers and went looking for her loot. She sought open doors or used a picklock, promptly entered rooms where people lay sleeping before searching through jackets for money. But what if the guest woke up? This was the time for Sonya’s act. In seconds, she assessed the guest who would be amazed at the sight of a beautiful woman in their room. If it was an elderly guy, she just flushed, mumbled that she’d made a mistake, and left the room - sometimes with money already in her pockets. But if the guest took interest in her as a woman, her behaviour was different: She said that she entered the room by mistake, but her eyes said that was more than happy to be there with such a handsome gentleman… After the labor of love had been completed and the guest fell asleep exhausted, Sonya cold-bloodedly completed the theft and left the room. If stopped by the doorman she could bribe him or act like an insulted noble woman - and get away. Sonya was far from an ordinary prostitute and she learned to steal during her childhood. She was born around 1850 somewhere in the Warsaw region near the border, where many people engaged in smuggling, theft, and robbery. Since her teens, Sonya loved posh dresses, but her main passions were gold and diamonds. At 15, Sonya left home to marry a tradesman, who soon left her because of her promiscuity. Her second husband was Mikhail Bluvshtein, a professional cardsharper who knew how to make money and introduced Sonya to stealing and fraud. She soon became more experienced than her husband and started working alone. Sonya gained most of her fame thanks to her skills in getting away with crimes. If needed, she could charm any man - a policeman, investigator, prison warden, convoy soldier - or counts, princes, and generals if need be. When seducing a man, she seemed genuinely in love, grasped with passion. Many men risked it all and lost their families and positions at work, just for a few hours spent with her - so she managed to escape justice many times. 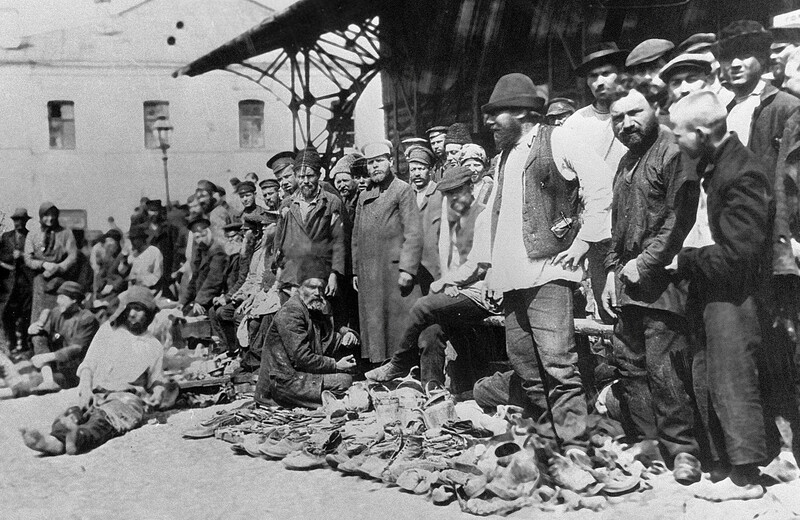 Shoe sale at Hitrovskiy market in Moscow. This was the place where a lot of criminals came to look for jobs. 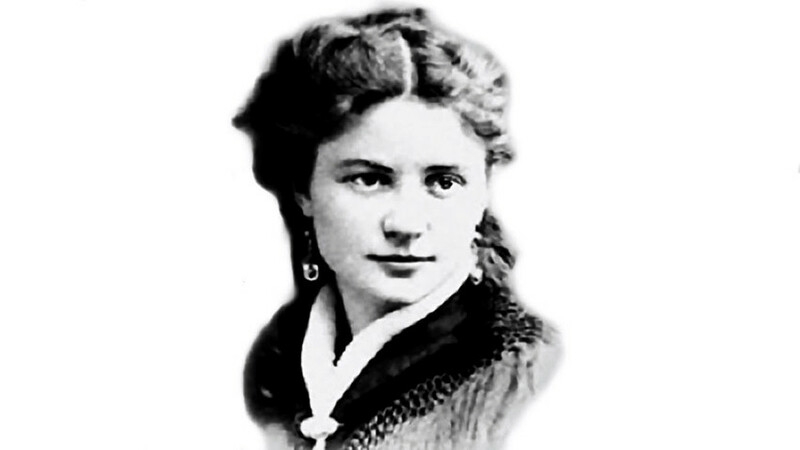 Sonya became a living legend among Russian thieves. Her ability to evade the long arm of the law attracted a lot of petty thieves who considered it an honor to work alongside “Mum” or “Queen” as they called her. A few young people, luxuriously dressed, walk into a jewelry shop separately. Suddenly, there is a lot of clients, and a noble young woman asks the proprietor to show her the diamonds. She studies them closely, holding the stones in her hands with long, polished nails. Eventually, the woman buys a cheap pendant and tries to leave, but the owner notices some of the stones are missing. He calls the police and they search all the visitors, who react with great disdain. The cops find nothing, and the owner receives a slap on the face from the noble lady, who then leaves, offended. The stones leave, too, under Sonya’s long nails, or even under her tongue, where nobody would dare to look - she’s no peasant and no philistine. The same evening, all today’s “jewelry buyers” drink the most expensive champagne, presided by Sonya. “The Golden Hand,” the nickname she received from her criminal adorers, hinted at her unparalleled thievery skills. During her career, Sonya robbed almost all big jewelers of Russia. But she was used to living it up, so she wasted almost all the money she stole - but she also managed to send her two daughters to France to study. She never wanted them to follow in her footsteps. 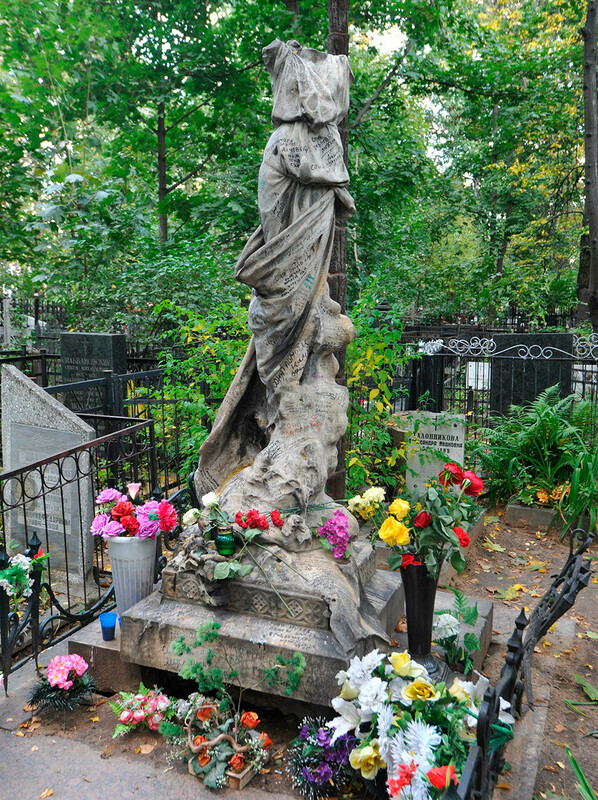 In Moscow’s Vagankovskoe cemetery, there is a grave with a big monument of a woman draped in cloth. The gravestone reads, “Bluvshtein,” and the monument is covered in inscriptions. Thieves come to the grave to pay tribute and leave their wishes and messages, and sometimes flowers or a piece of cheap jewelry. The criminal legend lives on after 150 years. But this is not Sonya’s grave. Sofia Bluvshtein died in 1902 in Sakhalin and was buried there. Ironically, it was a man who ruined Sonya’s career. She fell in love with a pickpocket, Kochubchik, who loved gambling. He borrowed money from Sonya after some big losses. Soon, he began living at the expense of Sonya, who started taking bigger risks so she could afford to finance her lover. One time she entered a rich man’s house and asked the servants if the master was at home, and while the doorman left to report she grabbed everything she could from the lobby and ran off. This was far from Sonya’s renowned style. 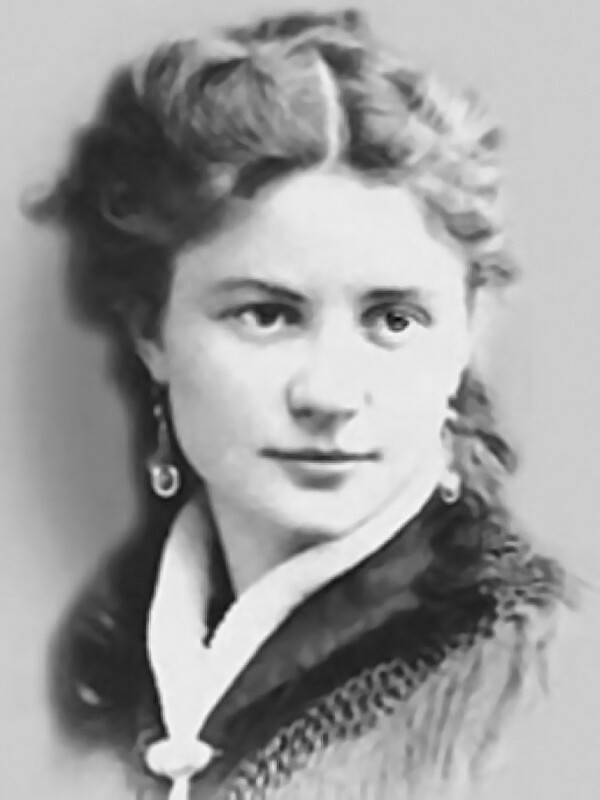 What is more, in the 1880s photography appeared, and people began recognizing Sonya in public, so the police were always following her. 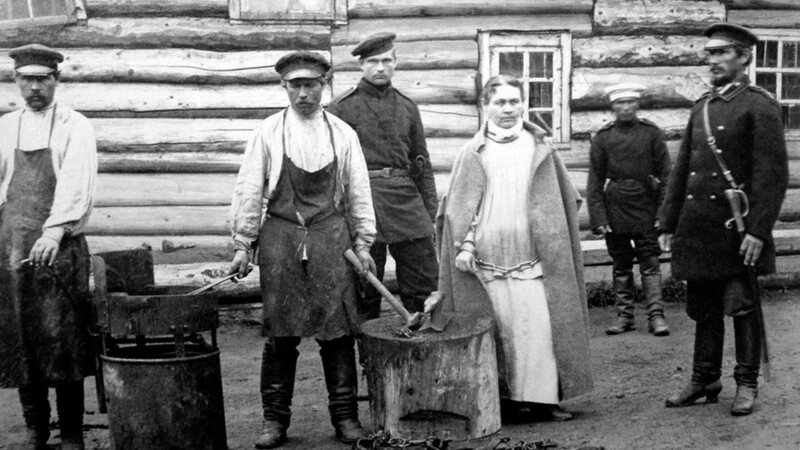 She managed to escape prison in Smolensk and run away from a penal colony in Far East, but when she was about 40, she was finally sent to Sakhalin Island and put in shackles. Sonya the Golden Hand being fettered. 1888. She spent the end of her life grieving over her daughters, who disowned her when they learned about her real craft. Russian women have taken on different dangerous professions. There even was a descendant of Romanov family who became a stuntwoman; and the whole world knows Valentina Tereshkova, the first woman in space. Women in Russia were successful as warriors or national leaders; still, there are reasons that can make you change your decision to marry or date a Russian girl. Editor's note: Initially this article was mistakenly published wIth an archive photo of Russian poet Anna Akhmatova. Russia Beyond apologies for this mistake and would like to thank our readers for pointing it out.